There aren't many things that are certain in life, but one thing that is almost always true is the perfect weather of San Diego, especially in the summertime! For most, the single biggest concern about planning an outdoor wedding is the question, "Will the weather cooperate with our wedding day plans?" In San Diego we are very fortunate to have possibly the best weather in the world. Being located in a "Mediterranean" climate zone, we have mild dry summers where we can go up to five months without experiencing rainfall. This mild weather also produces calm waters. 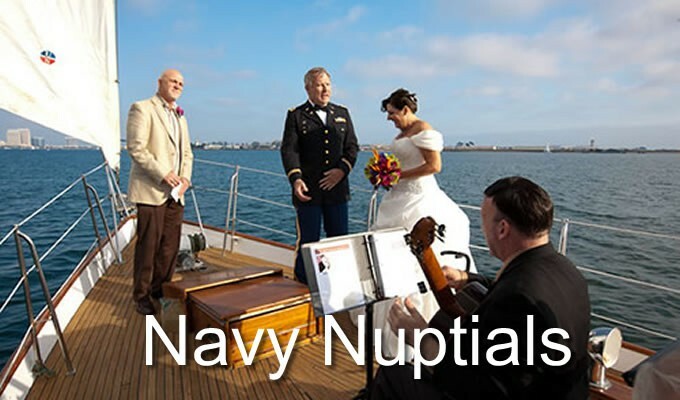 Having your wedding at sea in San Diego and sharing the moment with the most important people in your lives is a truly romantic and unforgettable experience. 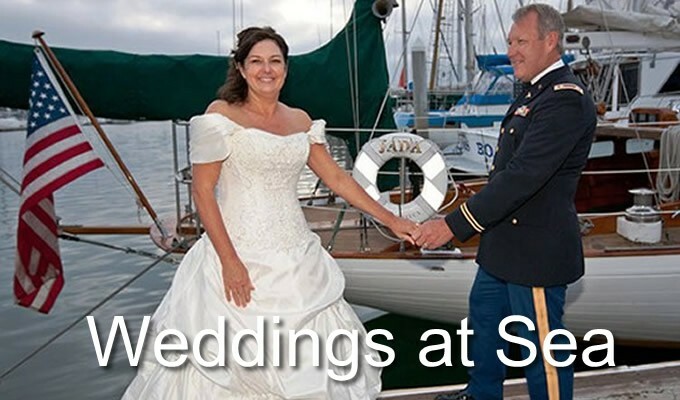 Whether your wedding plans are for a small intimate outdoor wedding on our classic sail yacht or a grand gala event, Sail JADA Charters in San Diego will do everything we can to make your wedding celebrations at sea all you’ve dreamed it to be. 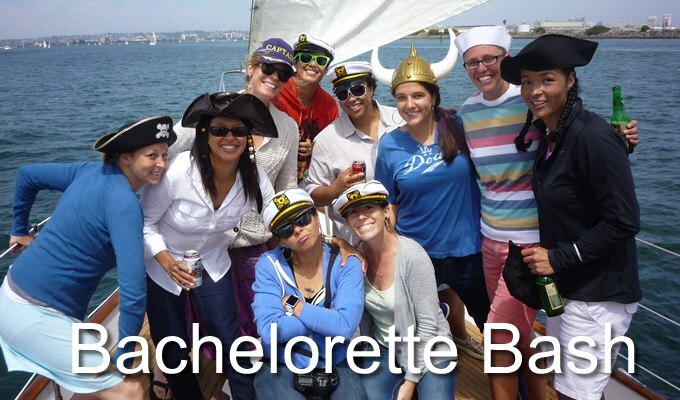 Let us help you plan a festive sailing excursion for your bridal party, bachelor or bachelorette celebrations. As we say, what happens on JADA stays on JADA. Is it your second wedding and you’re planning something much smaller and more intimate this time? Jada is a great venue for you and your closest family and friends to witness your nuptials. Perhaps you’ve been married 5 years, 10 years or more and you’re planning a renewal of vows or an anniversary celebration. Gathering on JADA will be memorable for all. 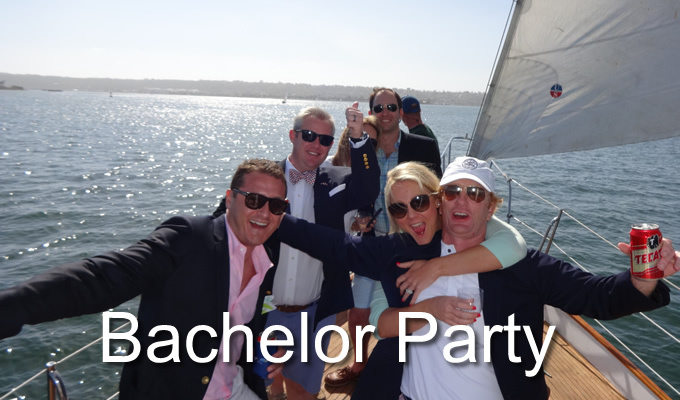 To inquire about planning a wedding celebration at sea including cocktails and catering options, please contact us at (858) 222-9479 to discuss the details.